Our go-to Pie Crust recipe that requires only 5 ingredients and comes out perfect every time making it the best homemade pie crust. 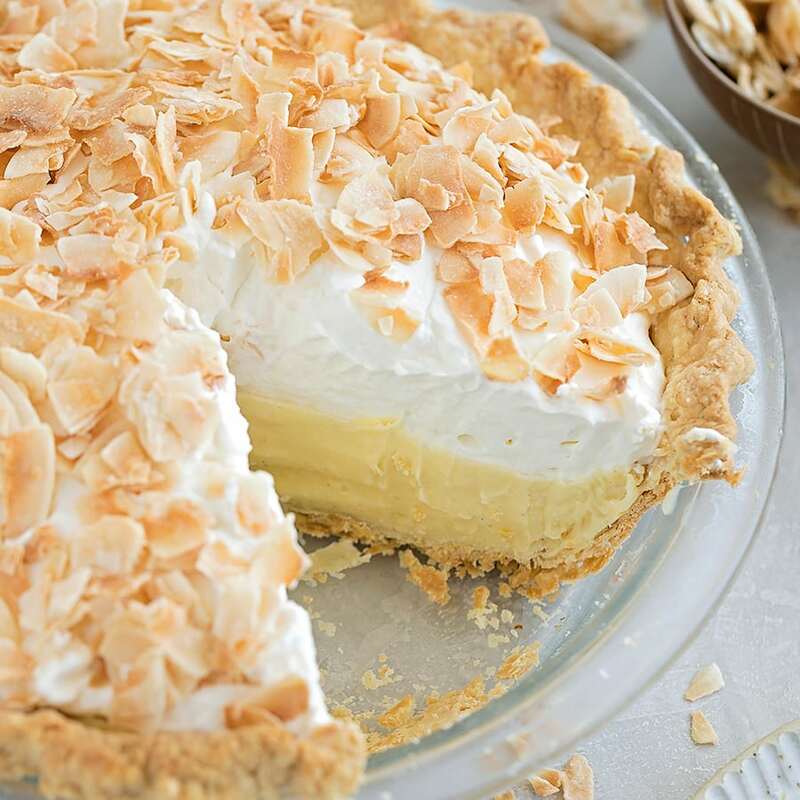 Today I’m going to teach you how to make a fool-proof all butter pie crust! I’m sure I’m not alone when I say that pie crust can be a frustrating endeavor, especially when you have to blind-bake it. 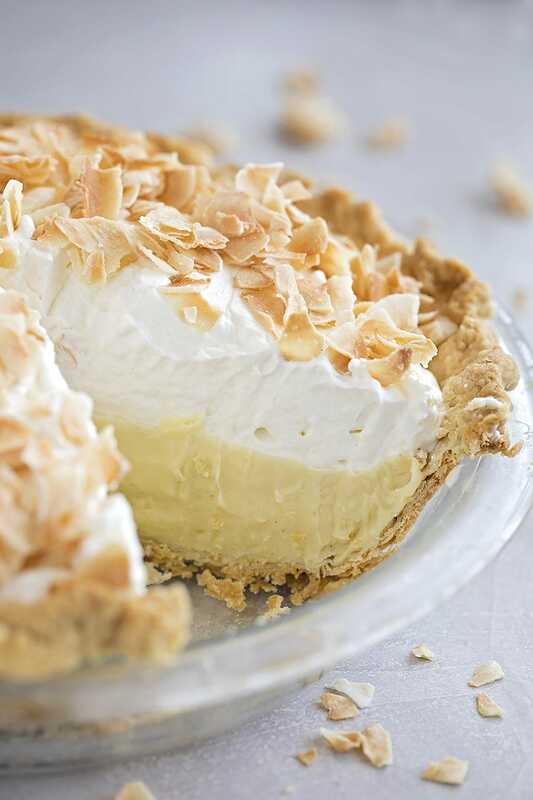 There are so many variables that can turn a seemingly flawless pie crust into a total disaster. Been there, done that, more than a few times! I’m sharing all of my tips and tricks below, so follow along and you’ll be a pro in no time in making the best pie crust. Five simple ingredients are all you need! It’s really the method that makes all the difference. Start by whisking together your dry ingredients in a medium size mixing bowl. Make sure your bowl is big enough to keep the ingredients from spilling over as you cut the butter in. 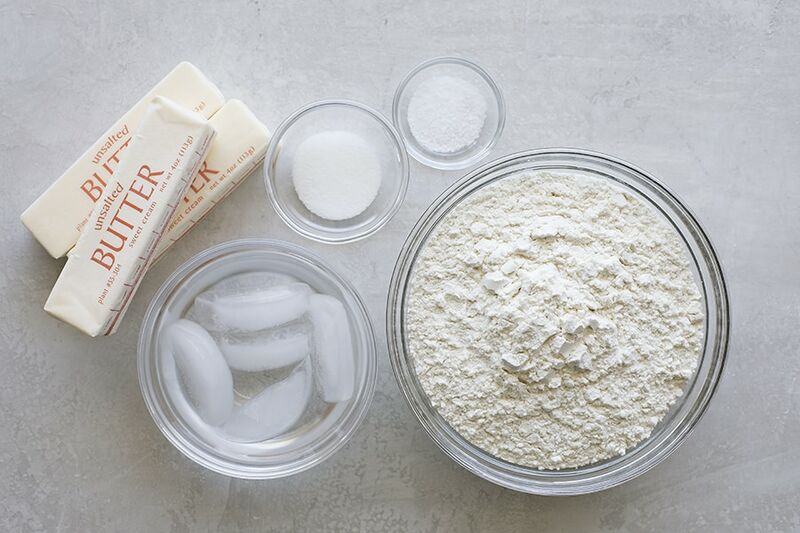 Once those are mixed together, grab three 1/2 cup sticks of cold, unsalted butter. They should be straight from the fridge. 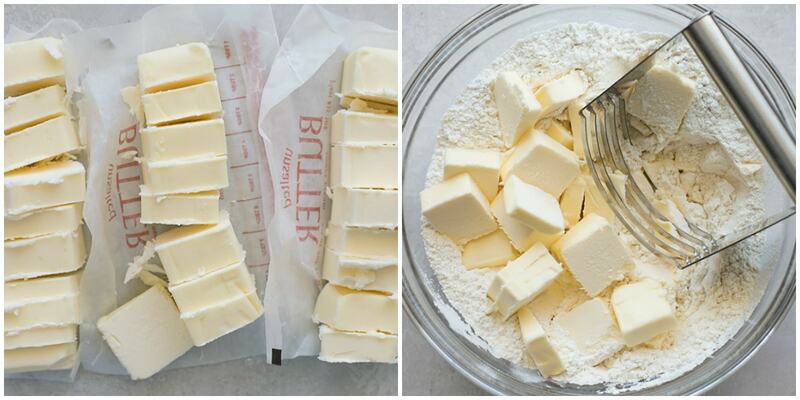 Using a butter knife, cut them into tablespoon portions, then add them to the dry ingredients. Using a pastry blender, cut the cold butter into pea-size clumps. 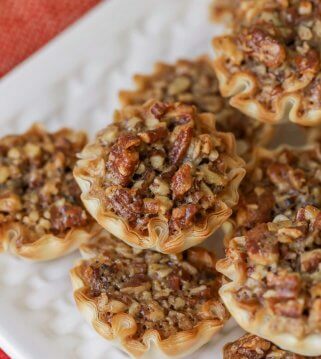 I personally prefer using a food processor or pastry blender over the finger method. I find the butter stays colder and in the end, the layers are more distinctive. Once the butter has been incorporated, grab a small bowl and fill it half way with cold water then add a few ice cubes. Use a tablespoon to measure out 6 tablespoons of water. Add it to the mixture and using a fork, toss to moisten the dry ingredients. You may need to add a 1-3 tablespoons of additional water. This will often depend on the current climate of your kitchen. 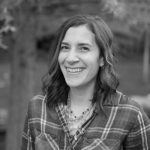 During the drier months of the year (fall/winter) you may find that you need extra water, while during the summer the 6 tablespoons may be enough. Pour the mixture onto a lightly floured surface and lightly knead until a shaggy ball forms. Divide into two equal portions, and pat both into flat circles (this will help make it easier to roll out). Tightly wrap in plastic wrap and refrigerate for at least 2 hours. THIS IS SO IMPORTANT!! Do not think that you can roll it out and use it right away. The pie crust must be sufficiently chilled to hold its shape during the baking process. 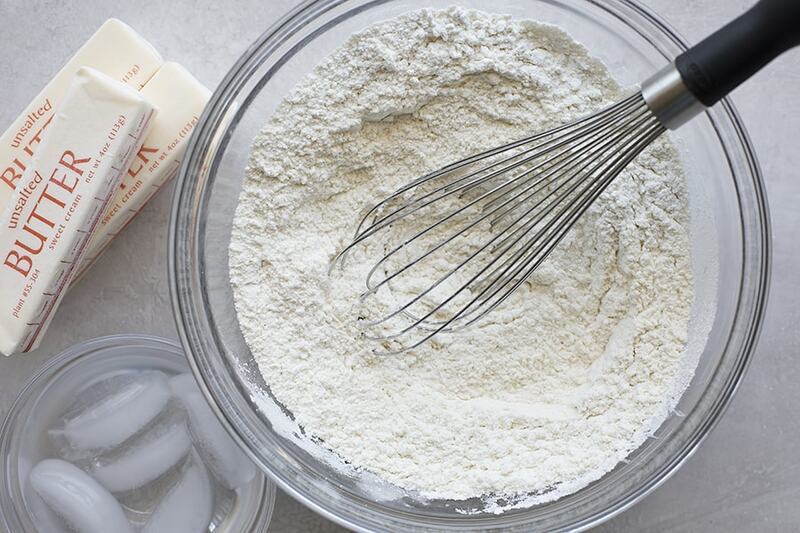 Once chilled, lightly flour your work surface, and roll one portion of dough at a time (if needed), into a 13-inch circle. This should fit perfectly into a 9-inch pie dish. Gently press into the bottom of the pan and to the sides. Fold any excess over so that a thick outer crust forms. Flute the top using a pinching motion. Dock (or prick) the bottom of pie crust with a fork to prevent it from bubbling in the center as it bakes. 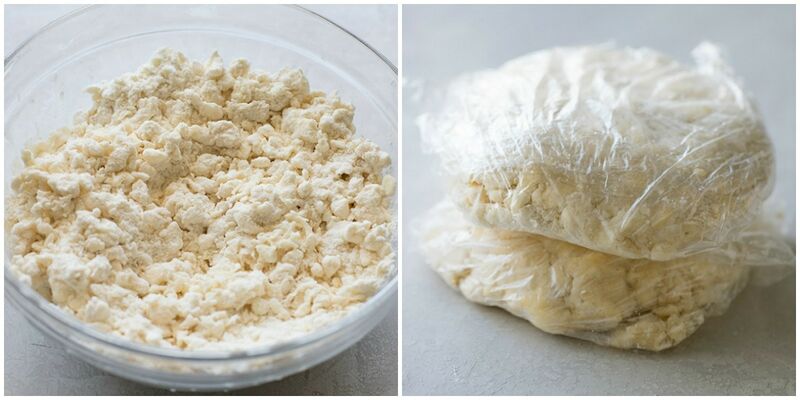 Chill for 30 minutes in the refrigerator (or freezer) before using/baking. Line the crust with parchment paper or foil (foil tends to press into the fluted areas of the crust a tad bit better). 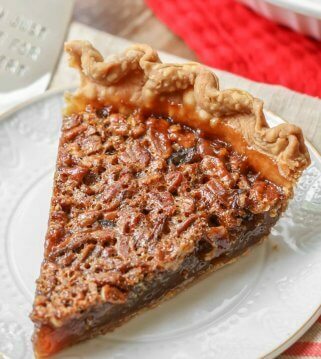 Fill the pie with pie weights, dry beans, or dry rice (this weighs down the crust and helps it hold its shape as it bakes, I fill mine FULL). Place in the oven and bake for 60 minutes, then carefully remove the weights/parchment or foil. Return to the oven to bake for an additional 6-8 minutes to ensure that the bottom of the crust is fully cooked (you don’t want it to be soggy). 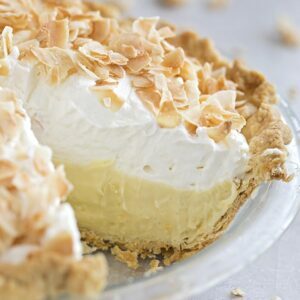 How to freeze pie crust? Pie crust can be frozen unrolled or rolled. Just make sure in either case to wrap it very tightly in plastic wrap, then foil. It should keep for up to 6 months, which is great when holiday baking rolls around. TIP: If you are freezing the pie crust in the pie dish, I would suggest using a metal pie tin or a shock-proof glass pie dish. Many glass pie dishes will shatter if transferred directly from the freezer to the hot oven. 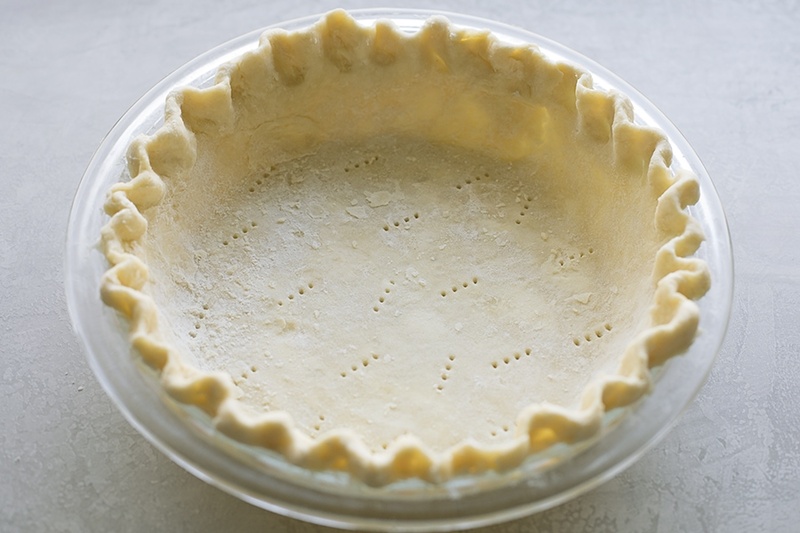 Unbaked, you can keep pie crust in the fridge for up to 3 days by covering tightly with foil or plastic wrap. If storing a pre-baked pie crust, cover and keep in the fridge for up to 24 hours but you need to bake for a few minutes to keep it crispy. 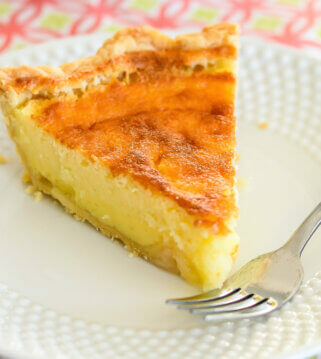 This recipe for perfect homemade pie crust is great for a single pie crust or a double crust pie. 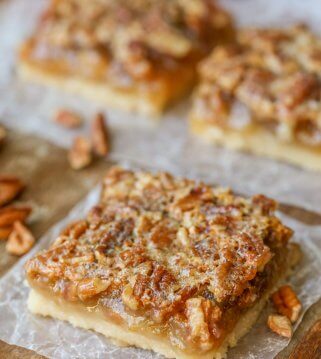 It’s a simple, straightforward recipe that every baker needs in their recipe box! In a medium mixing bowl whisk together the flour, sugar, salt. Cut butter into tablespoons. Add to the dry ingredients. Using a pastry blender, cut butter into pea-size pieces. Add 6 tablespoons of water, using a fork, mix until combined. If too dry, continue adding water until the crust comes together and is clumpy. It should be shaggy and slightly dry. Turn the mixture onto a lightly floured surface. Fold the dough into itself (kneading lightly) until it comes together. Form it into a ball and divide into two. Pat into flat discs and wrap tightly in plastic wrap. Refrigerate for 2 hours. On a lightly floured surface, using a rolling pin, roll the dough into a 13-inch circle. 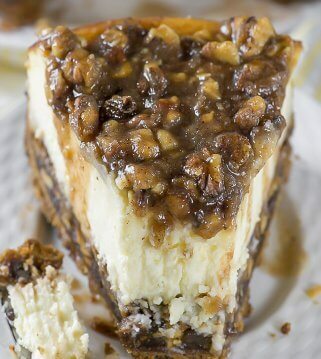 Place into a 9-inch pie dish. Flute the edges and dock the bottom of the crust with a fork. 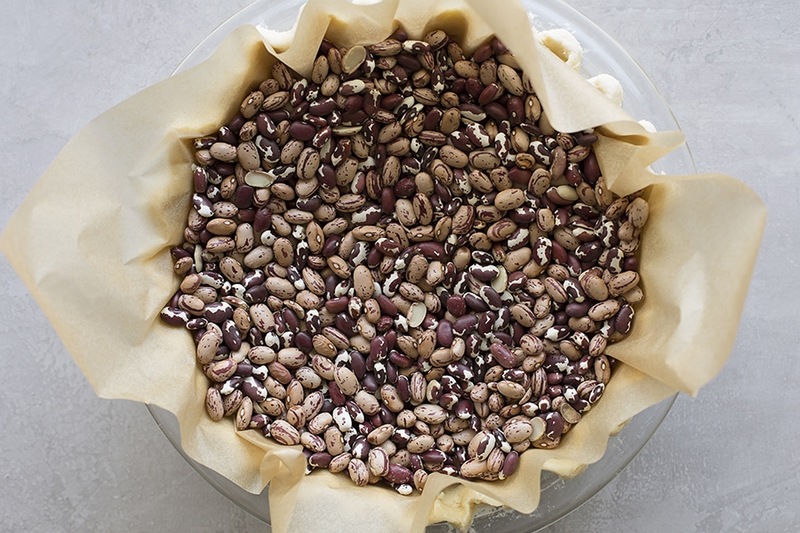 To blind bake the crust, line with parchment paper or foil, and fill with pie weights, beans, or rice. Refrigerate crust for 30 minutes. Bake for 60 minutes, then remove the foil and beans and continue baking for an additional 6-8 minutes or until the bottom is fully baked through. I DIDN’T REALIZE HOW EASY THIS WOULD BE! Thank you for sharing this! 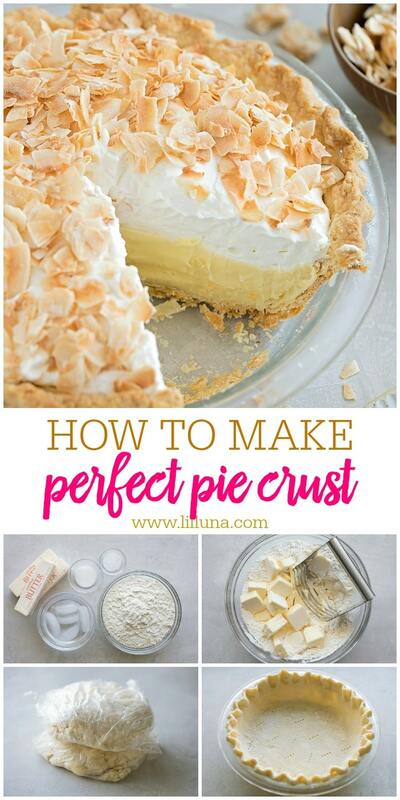 I have always been scared to make my own pie crust, but this doesn’t look hard! I love how flaky it is! Love how easy this pie crust is. And that you can make and freeze for later. I always used to be so scared to make homemade pie crust and once I did there was NO turning back! I’ve never used weights in my pie before! I need to try that! 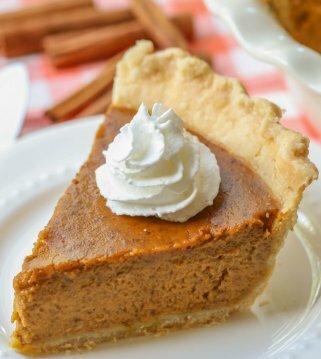 Easy pie crust just means more of a reason to eat pie! Love this. Love the tip of filling the pie crust with dry beans! I’m trying that next time! Ive always used my great GRANDMAS pie crust recipe, but this butter one is now in stiff comPetition. Sorry grandma! I’Ll take a homemade crUst to a store bought one any day. Just like the taste better. Its really not that hard! You will like the outcome.